The CC-34 is the market leading combination cutter. No other combination cutter on the market offers an automatic intelligent 4 speed machine along with the Hallde patented scraper system. 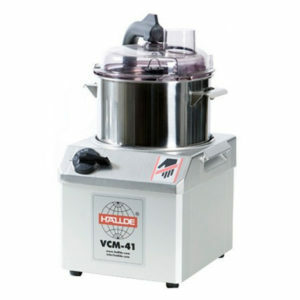 What this means to the operator is the ability to make pastes, purees, sauces, vitamize, etc. 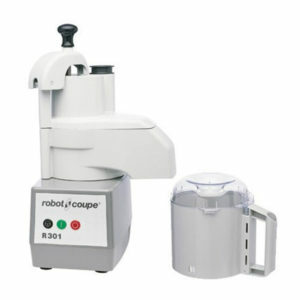 with the bowl attachment and the choice of 2 speeds, 1500rpm or 2650rpm. 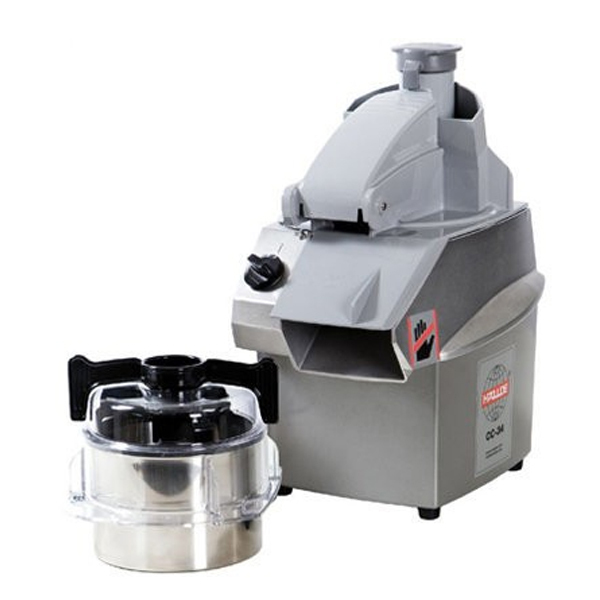 The machine then automatically reduces the speed to 500rpm when the vegetable attachment is fitted. This slower speed means the ability to slice, dice, grate, julienne and much more. 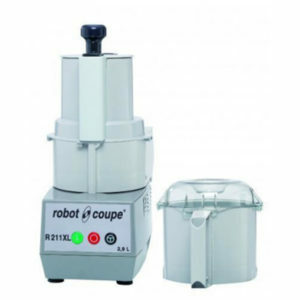 No other combi cutter in this price bracket offers this automatic speed control. The CC-34 is ideal for smaller establishments looking for a high performing yet cost effective solution to perform both vegetable preparation and food processing requirements. 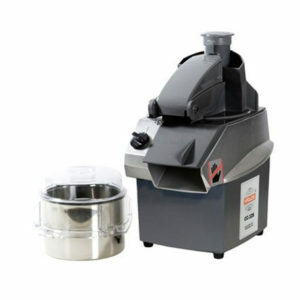 The CC-34 is generally recommended for up to 10kg per day of vegetable preparation and up to 10 litres per day of food processing.